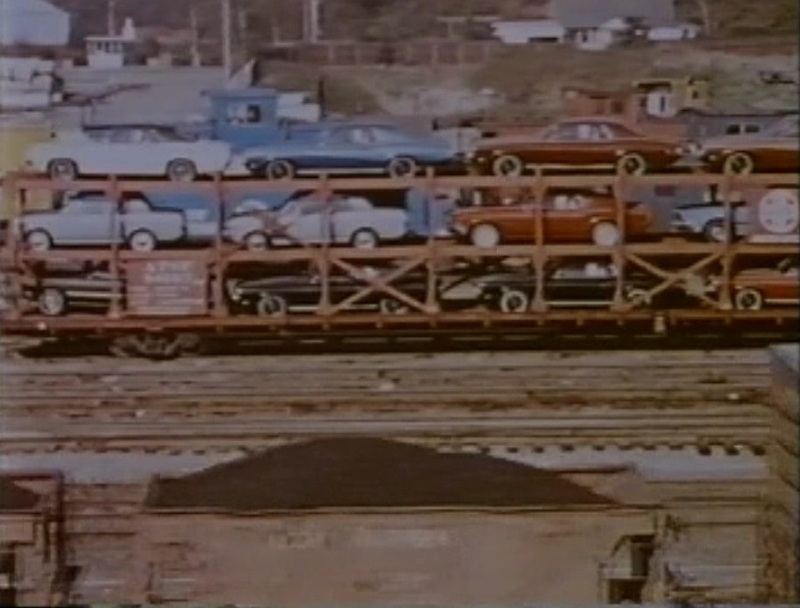 This Big Sky Blue era (1967-1970) short film (10 minutes) focuses on the hip, new, Great Northern Railway and the markets it serves in the late 1960’s (just before its merger into Burlington Northern). 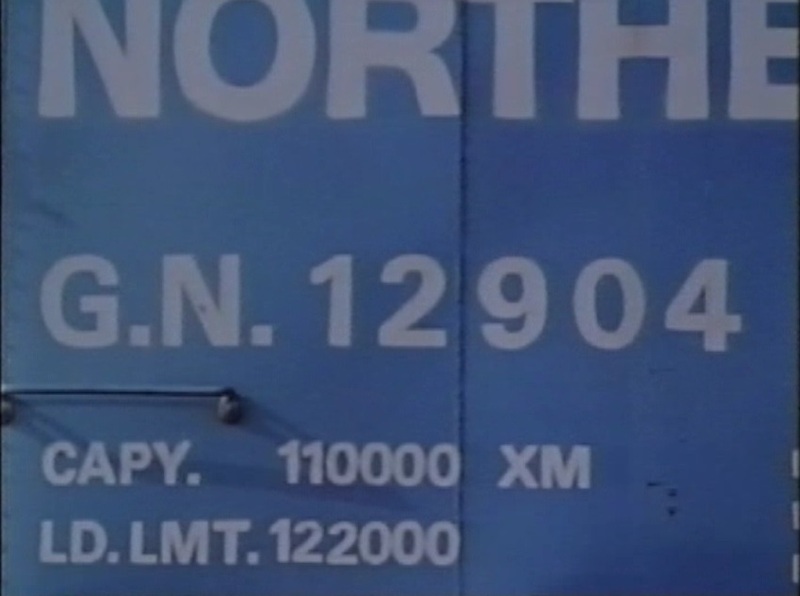 Despite the unpopularity of the “BSB” paint amoungst many GN railfans, modelers, railroaders, etc., I’ve always liked the BLUE…and that’s why this promotional film is one of my obscure train movies. 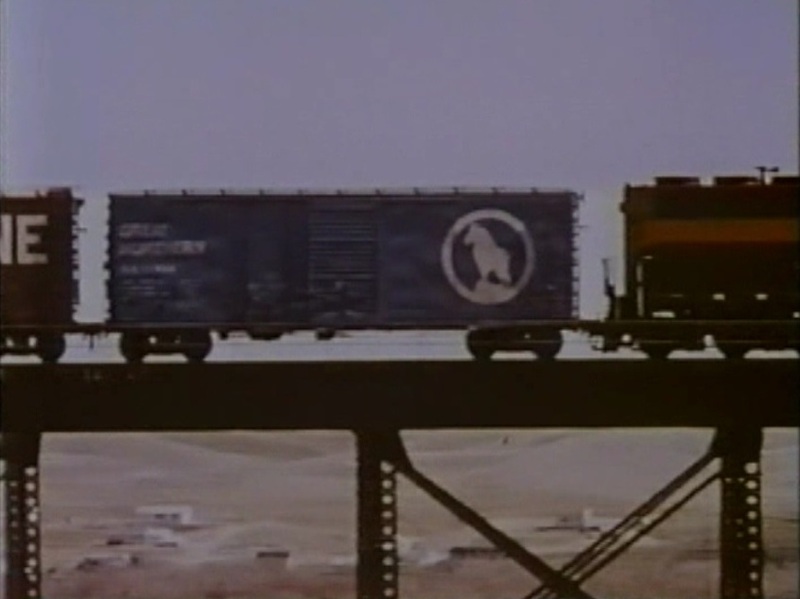 “That’s the car” crossing Cut Bank Creek bridge in Montana; GN 12904, XM class, 40′ single door boxcar. New bridge at Milepost 1751 along Gold Bar to Index, WA line change; EMD GP35 leads a fast freight along the line change. 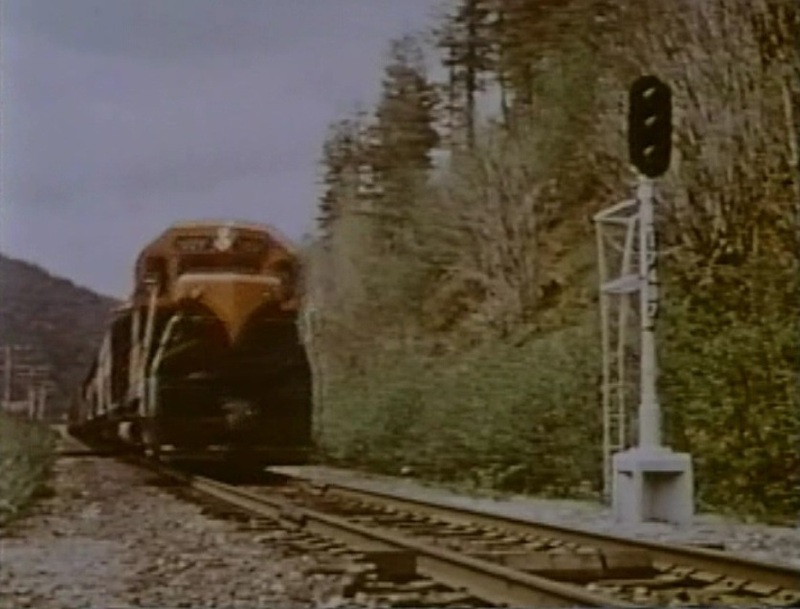 Great Northern was an early railroad user of computers. 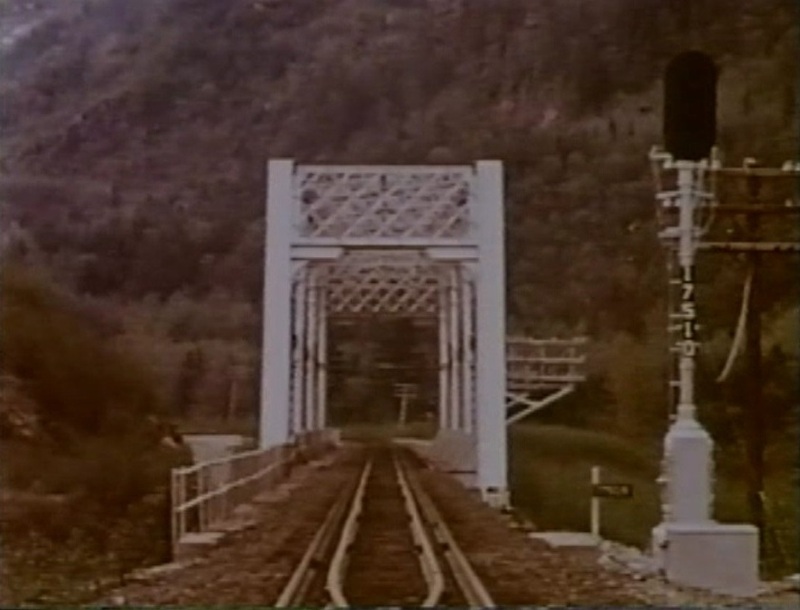 The film flashes around to various railroad scenes demonstrating what they carry. 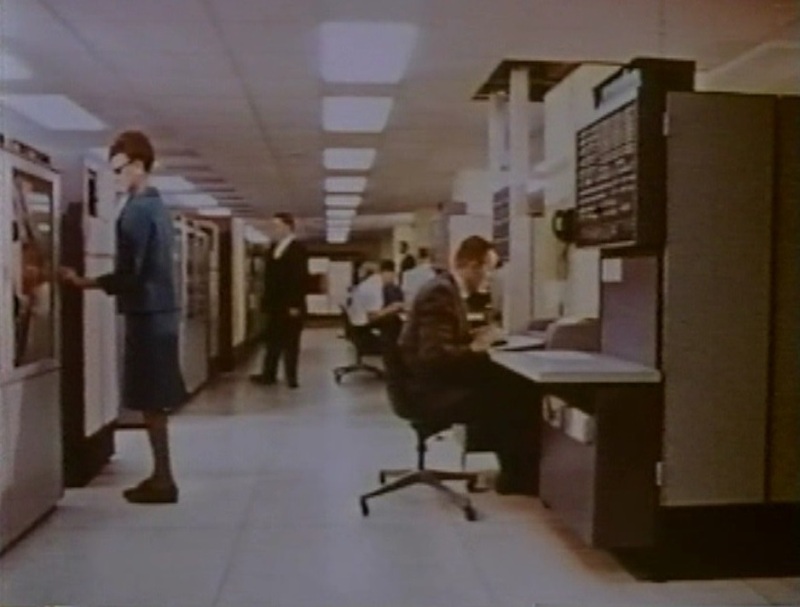 Room size mainframe computers at the head office in Saint Paul; Tower view at Gavin Yard, Minot. 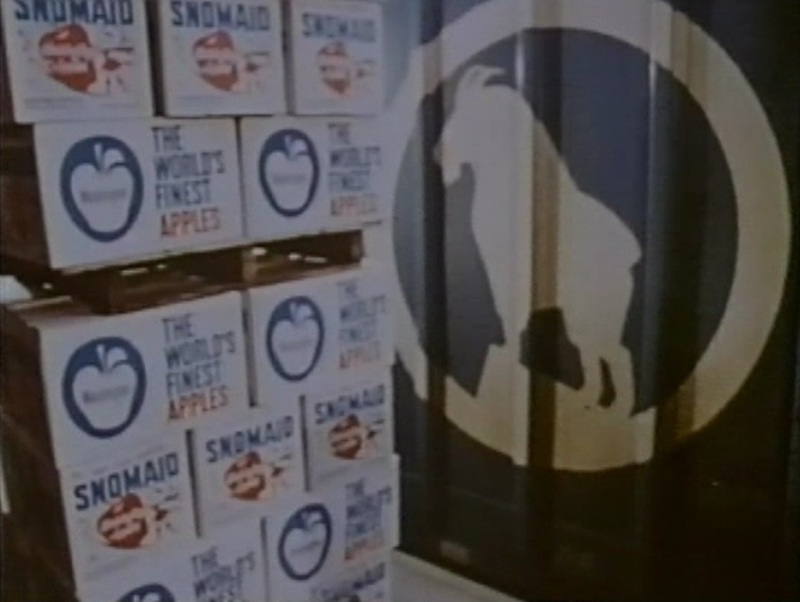 Loading grain in a covered hopper; Wenatchee apples face the “new, virile, Rocky symbol of Great Northern”. 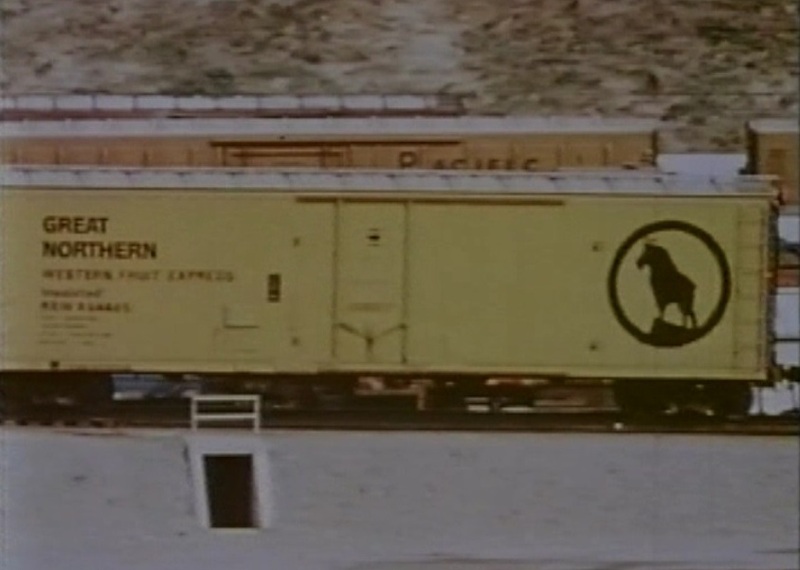 We also see colorful freight cars around the GN system. 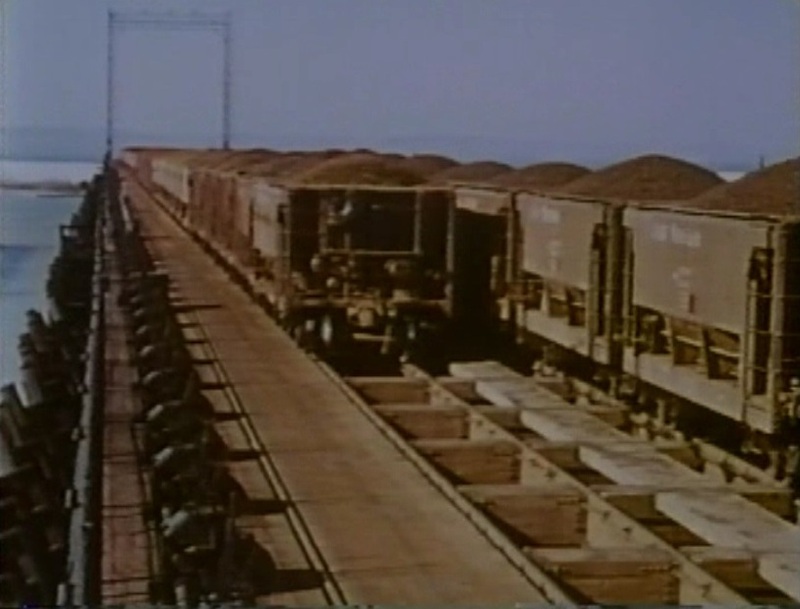 “GN is also this car” (Western Fruit Express insulated box car); ore jennies on the GN docks at Superior, WI. 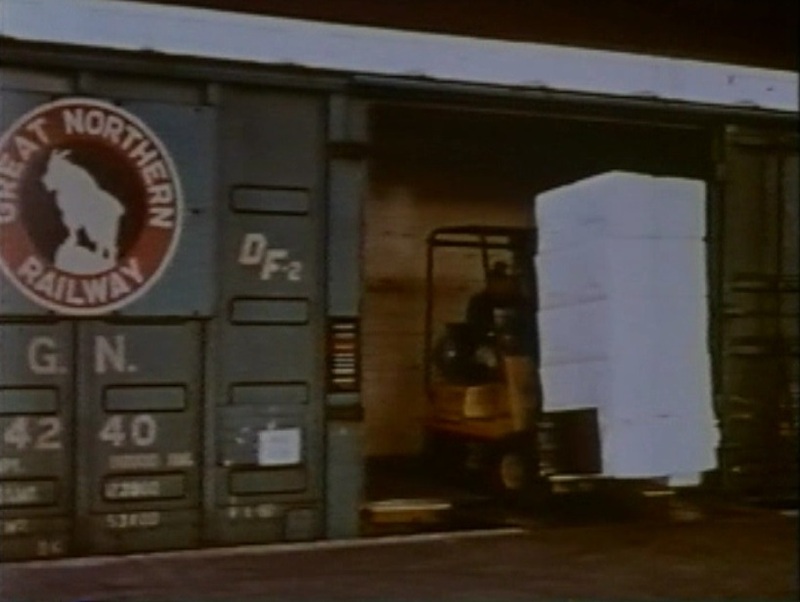 Glacier Green DF-2 “waffle sided” box car unloading newsprint; ore cars, auto racks and GN cabooses in Minneapolis. 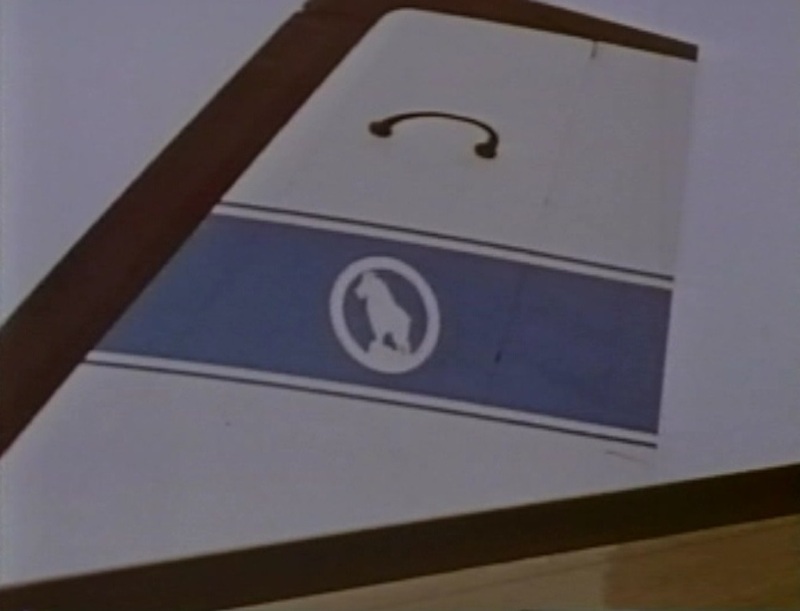 We get a brief glimpse of GN’s Lockheed Jetstar, complete with Big Sky Blue emblem, used for flying customers around and locating new factory sites (on GN lines, of course). The registration number on the plane appears to be N968GN. 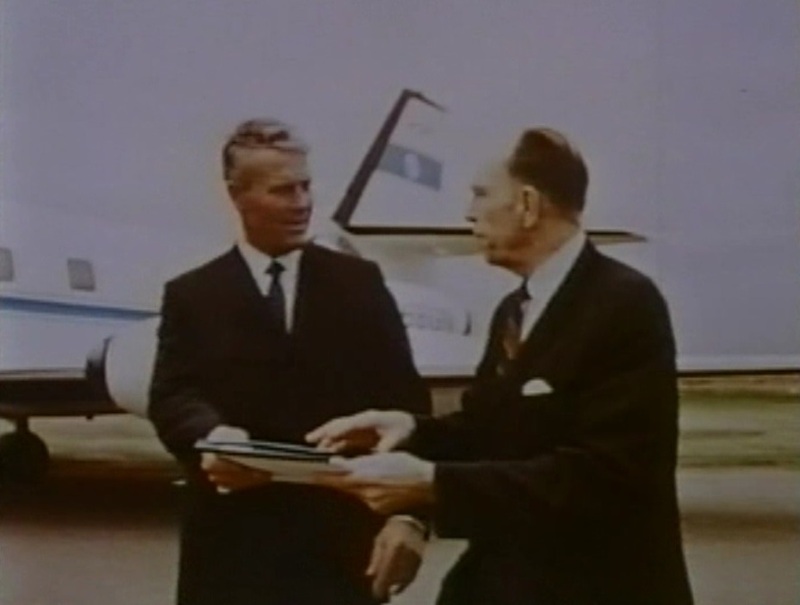 GN BSB logo on tail of airplane; GN Sales Rep with customer about to leave on a jet plane. GN borrowed technology from the logging industry. 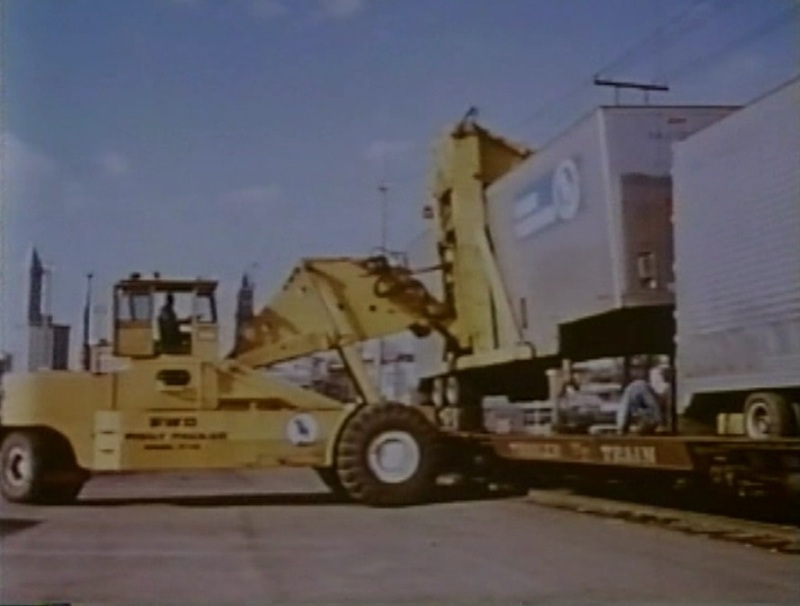 They adapted a mobile log forklift contraption to work lifting piggyback trailers on and off flat cars in Seattle. 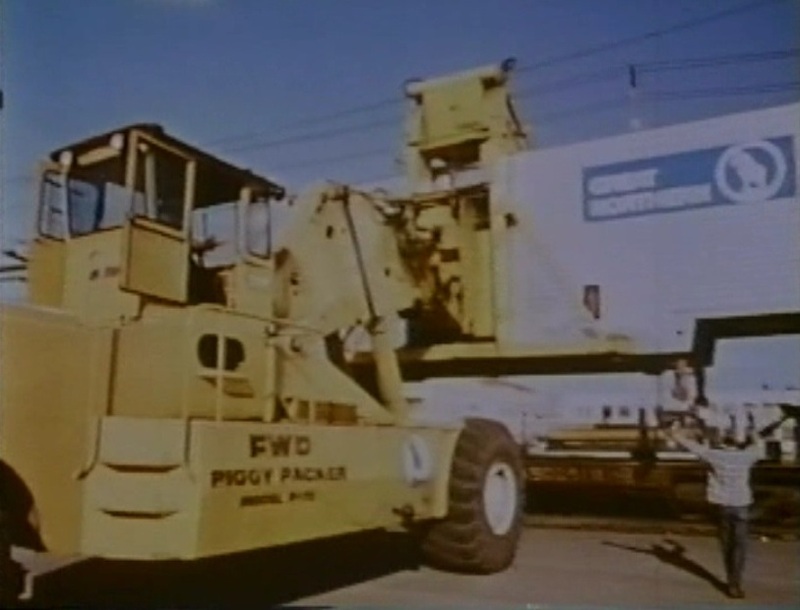 Two views of the “Piggypacker” at work in Seattle. 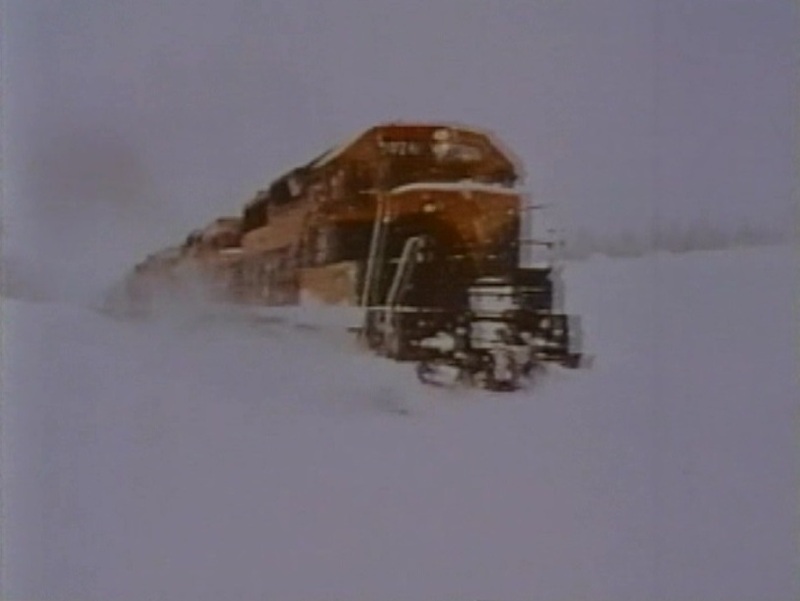 My favorite part of the movie is a quartet of EMD GP35s, probably somewhere in Montana, plowing through a foot or so of snow. 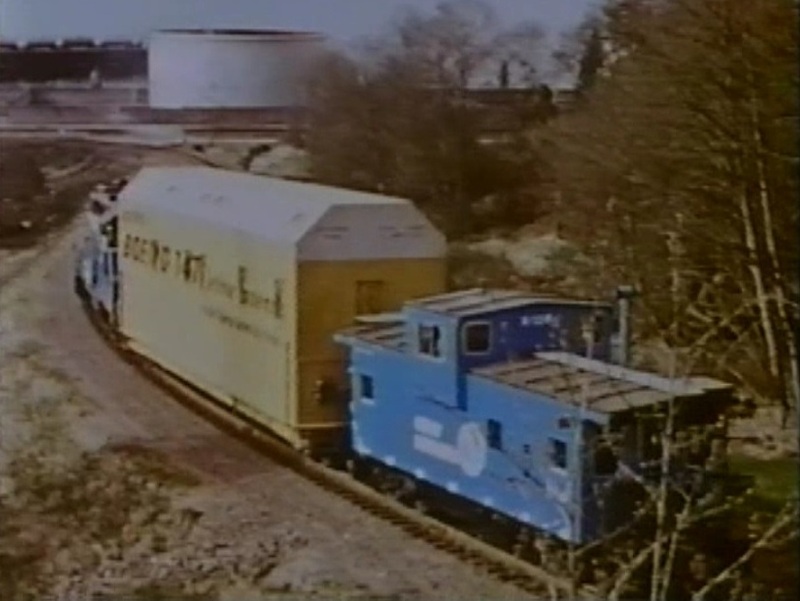 Also a switchman boards a EMD GP9 running long nose forward as Great Northern intended. 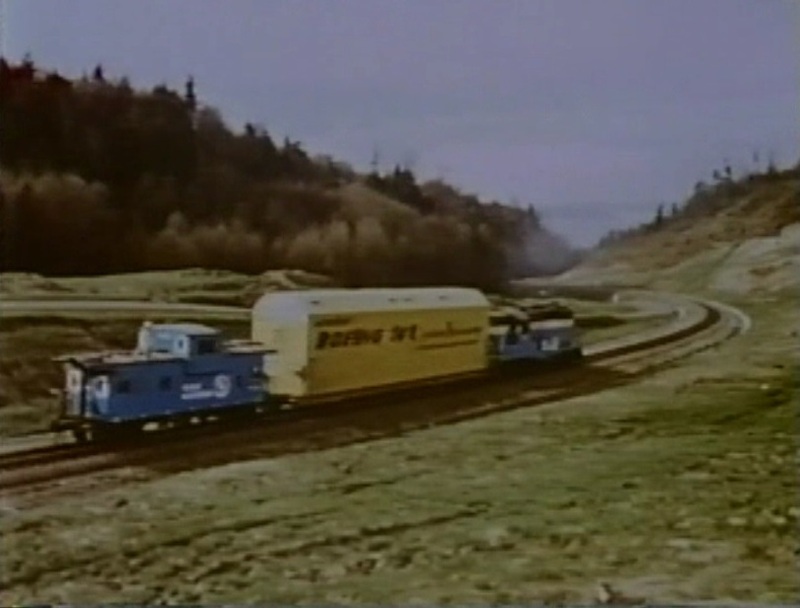 Great Northern built a brand new line from the mainline at Mukilteo up the hill to the Boeing 747 plant in Everett. Specially ballasted SD9 pushing a Boeing 747 parts car up the steep grade. And finally, Great Northern Railway is people too. 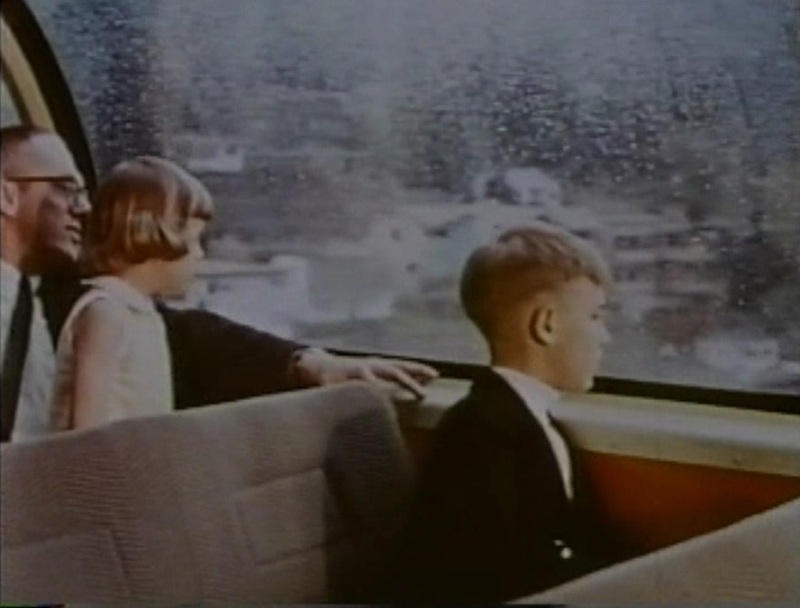 Dad takes his two kids for a ride on the Empire Builder crossing the Ballard Locks out of Seattle; A little cheese cake from the head office in St. Paul. 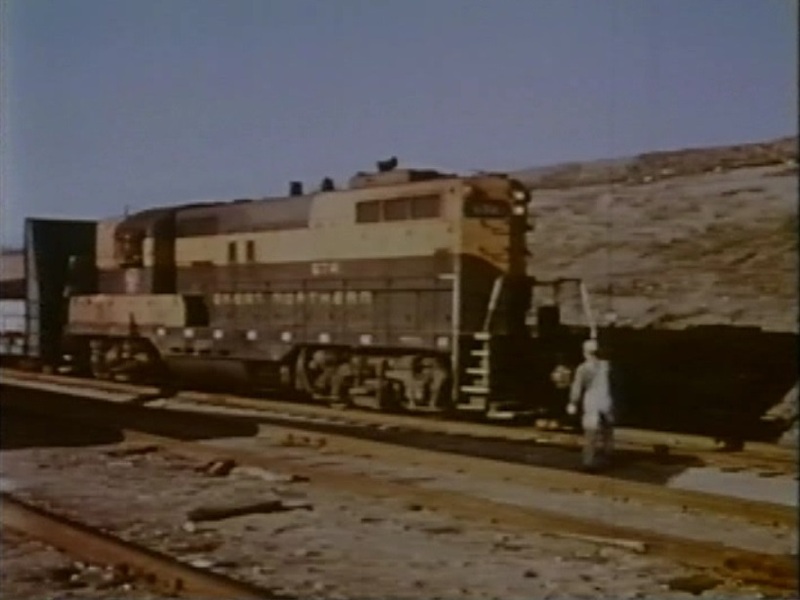 I’m dating this film as 1968 because the newest locomotives seen are EMD SD45s in both BSB and orange/green paint schemes. 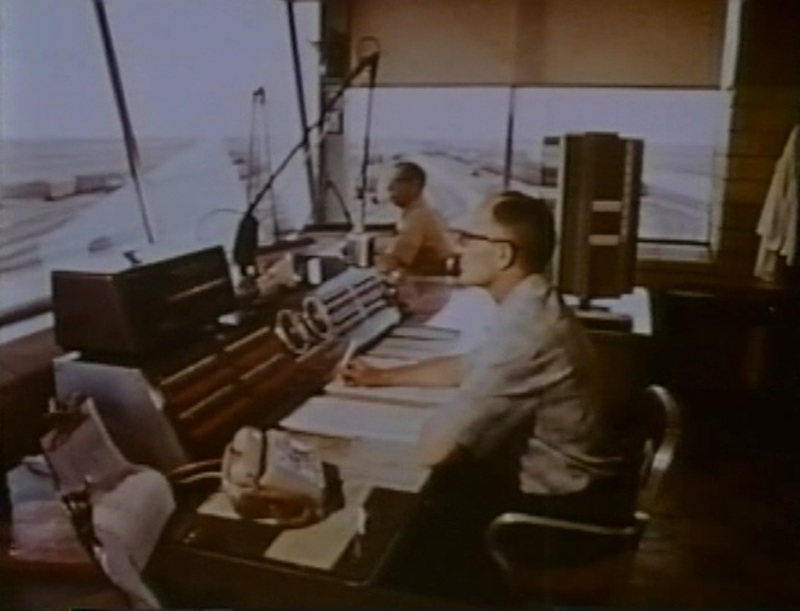 The EMD F45 locomotive, which first appeared in May 1969 on GN is nowhere to be seen. 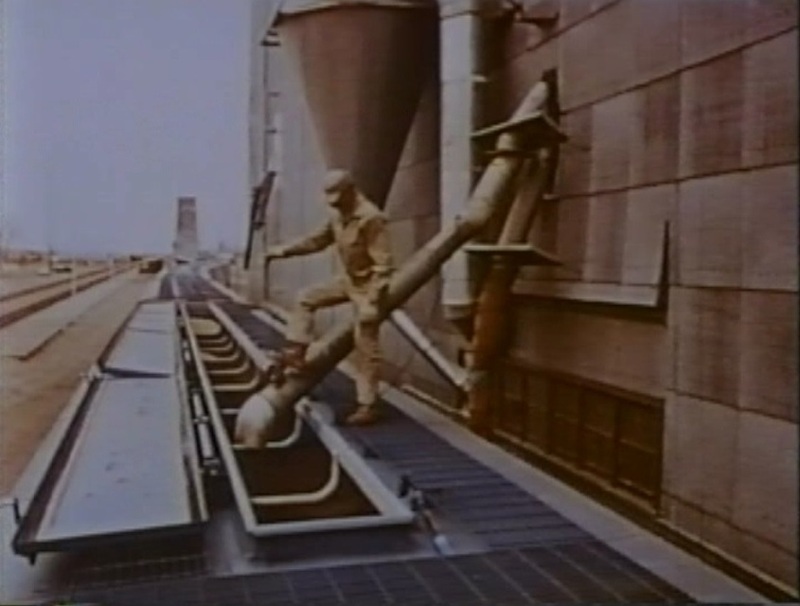 Originally released from the Burlington Northern Railroad Archives (Fort Worth, TX) in the mid-1980’s on video tape. I also obtained a DVD transfer from M&M Productions in Wenatchee in the year 2000 era. This entry was posted in Uncategorized and tagged Big Sky Blue, Boeing 747 railroad car, Empire Builder, Great Northern Railway, Lockheed Jetstar, Piggypacker. Bookmark the permalink. Shame someone stretched the videos to wide screen and distorted it! It was filmed in 4:3, there was no such thing as 16:9 then!